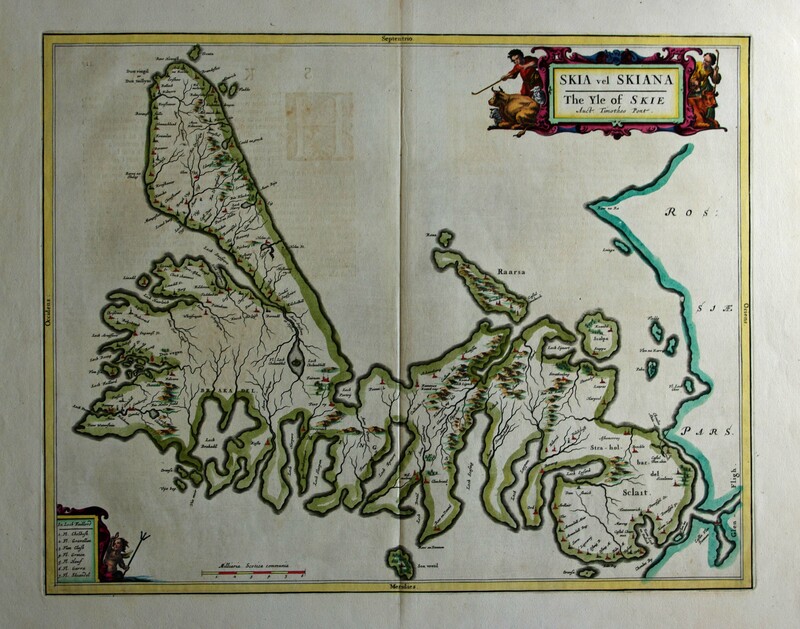 Blaeu's map of Skye - Latin text. Condition&colon; Very Good, Two tiny (stitching?) holes by centrefold.